One person is dead following a one-vehicle rollover now under investigation by law enforcement authorities. 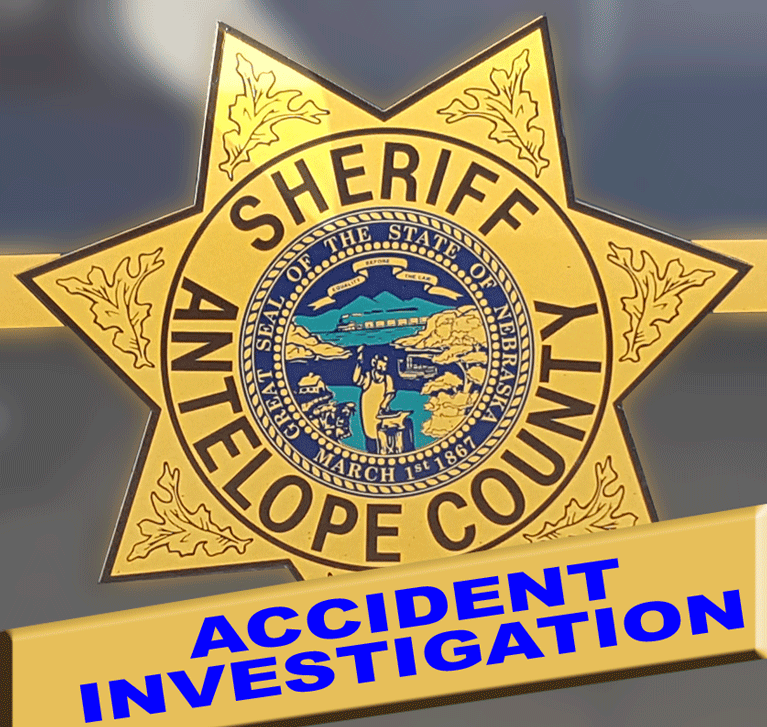 According to a press release from the Antelope County Sheriff’s Department, the law enforcement center received a 911 call at 12:04 a.m. Sunday, March 26, concerning the accident which took place at the curve of 515 1/2 Avenue and 851 Road southwest of Clearwater. “The vehicle was traveling eastbound on 851st Road and due to foggy conditions, the driver failed to observe the approaching curve,” according to the press release. “The vehicle then left the roadway and begun to roll. The front seat passenger was ejected from the vehicle and then impacted by the vehicle causing fatal injuries. Both the driver and third occupant were transported to Antelope Memorial Hospital by Clearwater Rescue where they were treated and released for minor injuries. According the the press release, seat belts were not in use by the occupants. The accident is being investigated by the Antelope County Sheriff’s Office with the assistance of the Neligh Police Department and the Nebraska State Patrol. Responding to the accident was Clearwater Fire and Rescue. An autopsy is being requested by the Antelope County Attorney’s Office.